We’ve all heard the term a million times, and we’ve had countless people tell us how “being proactive” is the key to staying ahead of the curve with whatever you’re working on. This goes for warehouse management the same way it goes for nearly anything else. By being more proactive as opposed to reactive (which, let’s be honest, is the way more warehouse management happens) you can better predict issues before they come up, like inventory shortages, space concerns, and potential productivity blockages. A lot of warehouse managers, for better or worse, tend to coast by on intuition and instinct. They feel like since they already know so much of what goes on inside the warehouse, they can ‘get a feel’ for any big changes that need to be made or any issues that can arise in the future. We’re not saying that’s not a valid way of doing things, but balancing these instincts out with hard-and-fast data and reporting is crucial to maintaining productivity and being more aware of your warehouse’s performance as a whole. Collect data from all areas of operation, from shipping & receiving to on-hand inventory and even performance metrics such as items shipped per day and so on to make sure you have a full picture of how your warehouse is performing. Of course, collecting the data is one thing, but knowing how it interacts with your actual warehouse operations and what role it plays in your warehouse overall is crucial to making this data actionable. A good step towards a more holistic view of your warehouse is to take time and familiarize yourself with your entire supply chain: get to know your vendors better, learn more about the sort of shipping times and performance you can expect, who coordinates receiving and deploying shipments, and more. 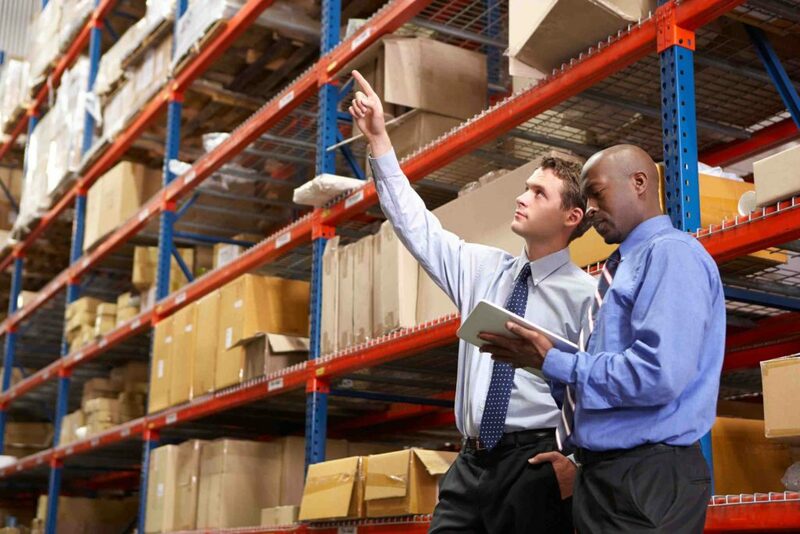 Even if not all areas are directly your responsibility, understanding how they work and what role they play will help you better manage the warehouse and solve issues overall. In too many cases, warehouse management gets comfortable and uses KPIs as a way to impress the higher-ups and plan for the holiday season without actually reviewing what they mean or what good they could do your business in the meantime. Set a regular schedule (monthly, quarterly, etc) to review the metrics your business places the highest importance on, such as items shipped per day, items picked per day, total inventory errors per period, and so on. This will give you ideas of what you need to focus on for improvement and figure out next steps. Obviously this tip isn’t applicable in the case of things outside your control (such as inventory from a third-party vendor) but having redundancies of your most important items on hand is a great way to avoid productivity loss in the event of an accident or an equipment breakdown. Always keep spare parts around for any forklifts, try to keep extra storage options like wire shelving and pallet racks around in case of damage (or overflow), and if you use tablets for management out on the floor, try to keep an extra one at hand in case someone drops the primary tablet. This will avoid interruptions of work and keep things flowing as smoothly as possible, even if something does get broken. All the planning and procedure-writing in the world can’t account for every single accident that can happen, but in cases of common exceptions it’s always good to have a process in place. Review some of the more frequent exceptions or errors you encounter, like missing items from a shipment or damaged goods upon arrival, and document processes for them. You can’t predict everything, but taking steps to make the most common exceptions easier to manage will go a long way towards reducing issues overall.